No I'm not. Its true. Clyde has finally arrived in the Falkland Islands and has relieved HMS Dumbarton Castle as the Falkland Islands Patrol Vessel. She arrived on 21st September and, on the first day in theatre, hosted 35 personnel from Mount Pleasant, the military base in the Falklands, for an introductory brief on the ship’s capabilities. After two days of settling in, Clyde, along with HMS Dumbarton Castle, underwent a weeklong period of training under the control of staff from the Flag Officer Sea Training organisation who flew down from the UK for the period. The training included fire fighting and damage control, Air Defence exercises, self protection exercises against fast inshore attack craft, beach landings and various navigation exercises including pilotage, a replenishment at sea and Officer of the Watch Manoeuvres. Last edited by Dogwatch; 11th October 2007 at 17:31. Excellent responsiveness to "ship stoppers"
Last edited by DeV; 23rd March 2011 at 22:08. Any idea what the average fuel consuption per hours is at cruising speed? Given the P50s are a bit thirsty I wonder how it works out pound for pound. Work on the first of the trio, which will be similar to vessels built for the Brazilian Navy, will begin on the Clyde in October, with it in RN hands in 2017. THIS is the future shape of the busiest Royal Navy warships in UK waters. Whitehall today signed a contract with BAE Systems to build three new patrol vessels for duties around the mother island – and beyond – from 2017. Just shy of £350m is being spent with the defence firm, which will construct the trio in its yards on the Clyde. The new vessels will be based on the Amazonas class of patrol ships BAE built for the Brazilian Navy in its Portsmouth yard – and which were on security duties during this summer’s World Cup. All three will be bigger than the existing River class ships, which are on duty around the UK for more than 300 days a year, largely focusing on fishery protection work, but also acting as the RN’s eyes and ears in home waters to stop smuggling and terrorism and to help out in emergencies. The ships in the as-yet-unnamed class will be 90 metres (295ft) long, reach at least 24kts, be able to host a Merlin helicopter and have a range of more than 6,300 miles – enough to take them from Portsmouth to South Africa or ‘Pirate Alley’ between Somalia and Yemen; the vessels are being designed to patrol the broader oceans as much as waters around the UK. Work on the first ship will begin in October and it is due to be handed over to the RN in three years’ time. BAE has already begun work acquiring engines and gearboxes. The £348m deal will sustain around 800 jobs in the shipbuilding industry and tide the BAE yards over between work ending on new carrier HMS Prince of Wales and construction beginning on the first Type 26 frigates later this decade. The next defence review will determine whether the three new ships will be replacements for the three River-class vessels (which have been in service since 2003) or will be in addition to them. Is that 30mm main armament? Looks like it will have air search radar. Would be interesting to compare its crew living space versus the P60's. The EU should be investigating! Basically if the RN hadn't have placed more orders they would have to pay the yard truck loads of money as part of a previous contract. 30mm on Brazilian OPV, 76mm on Thai navy OPV of same design. is there a political aspect to this? get them built on the clyde to remind the jocks what they will miss if they vote for independence? almost certainly - however, as Dev indicates, the UK shipbuilding industry has a contract with the MOD to ensure sovereign capability, we pay them to stay open, the cost of paying them to drink tea and whack off to Trisha is similar to the cost of paying them to build ships, so we may as well have the ships. why is the cost per vessel of this new class so high in comparrison to the Irish Samuel Beckett class - is it mission fit, or BAE's cost model, or the cost of vessels plus the cost of keeping the yards open until the T26 build comes on stream? 76mm on Thai Navy HTMS Krabi. 30mm on Brazilian Navy Araguari. Thanks Dogwatch - but which gun are the UK opting for? Military oriented Terma Scanter air/surface radar versus the P60's Kelvin Hughes COTS system , but I don't think that would account for more than a couple of million per vessel? In practice that means the RN vessels can use optical & radar to target the main gun - the P60's have nice optical sensors, but I don't know if the Kelvin Hughes set allows for automatic gun targeting, or if it features other mil attributes like ECCM etc. The Terma Scanters would be a nice addition to the P60's eventually - and would probably be a necessary first step if you wanted the option of countermeasures like chaff etc. The difference in the relative sizes of superstructure looks pretty huge - I guess the P60's have more creature comforts/living space at the expense of a flight deck. None of the official announcements specify what armament, but wouldn't be surprised with 30mm's. The Peacocks were the only RN ships ever to have OTO Melara, as Vickers (now BAE) were always getting the contract for 4.5in guns (too big for the OPV platform). however OTO are in with a very real chance of fitting their 127mm to the Type 26s due to the Extended Range Guided Munitions it can fire. Will be interesting to see! Also BAE Systems now produce the Bofors 57mm (see USN LCS), so will be very interesting to see what ends up there. The Thai OPV shows that the hull type can easily take a 76mm. AW139 landing on Italian OPV Sirio. If only we had an air arm that had (a) ability (b) interest in landing aboard ship and remaining there for a period in excess of 6 hours. The reason these ships are so costly is if they were not built, the UK Gov would have to pay the same amount in redundancies and mothballing, in order to be able to re-open the yards to build the new frigate. Why they decided to ignore Babcock completely is a strange choice though. Even all reports suggest that the only yards capable of building these ships is on the Clyde, which is, as we know not the case. That day will be the day the Naval Service has it own Air Arm , don't ever imagine that the Air Corps would ever spend an overnight on board a ship never mind 3 to 4 weeks , plus they are Air Corps not Navy , get it , like and oil and water they don't mix . Again, that's not the point I'm making - if you have clear deck space, you can fit a lot more, or you land an helicopter for resupply or whatever - these new RN vessels wont have hangers either, the time any helicopter spends on board will be very short. So I don't get the political argument - the ships were built to NS specifications, so.. I assume that all that space is not "wasted" with the superstructure. Also from memory a few years back there was talk that the IAC contracts changed and if you wanted in, you had to agree to work sea deployments. Last edited by pym; 13th August 2014 at 22:02.
it just takes leadership, and the threat that if you don't like it you can fcuk off to the dole queue, to change ethos and attitudes - we've done it, firstly with RAF operating from the Carriers, then with AAC operating from HMS Ocean - initially it was a bit 'if i wanted to live on a ship i'd have joined the Navy..', but now its just part of service life, infact its exciting, and the Libya job where the AAC operated their AH-64's from Ocean and did offensive air ops inplace of carrier air was a massive, huge boost for moralé in the AAC. dead easy, send an email with 'thou shalt..', and invite anyone who doesn't fancy it to submit their resignation by reply... how many applicants do you get for each IAC cadetship? In 2009, the BAe Systems Surface Ships Terms of Business Agreement was signed. Under that the MOD guaranteed £230 million of shipbuilding work annual, cancelation (which could happen at any time) meant that the MOD would have to pay the closure costs plus compensation. During SDSR, the estimated cost would have been £ 630 million. The inter service operability option is misguided as it reduces the host vessel to nothing other than a pit stop for the air arm. If ships are designed to have their own wing they need to be operated by the naval asset as a extension if the naval need and not of the opeeator such as the AC. Quite rightly the NS are unwilling to invest in flight ops again as a loss to other capital needs to fund the curiosities of the Air Corps. The UKRN is building two ships to the RAFs whim that wil tie them up with a singular aircrat type for generations that no one can guarantee will even operate as predicted. In tandem with ths they have denied them selves to operate the current type of carrier aircraft available including AWAACs. Morale of the story..two groupings fighting oner one budget will limit both arms of service in the future. Historically the flying was done by the navy. The NS here coild easily manage the helo and patrol assets of the AC for their own needs. 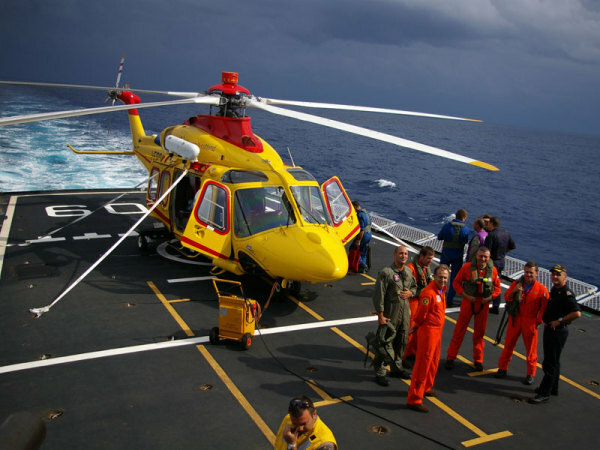 Until the NS hss its own helos crews etc. I don't think we'll see ship capable helos and helo capable ships again. Quite rightly the NS are unwilling to invest in flight ops again as a loss to other capital needs to fund the curiosities of the Air Corps.